This is a common fly here. Called "Rinderfliege" (Cowfly). 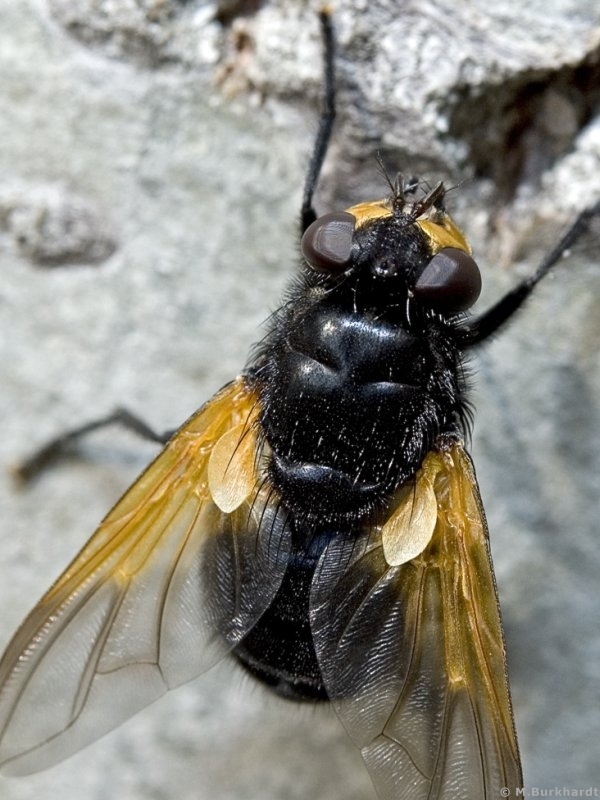 The Mesembrina meridiana is about 9-13mm long. I found this one in September on a tree.